You are in: Home » Blog » What are Chargebacks? Merchants will often come across a term called “chargeback” and it is often integrated into the payment set up. It is important to understand what a chargeback is, how it works, and what role it has to play in your day-to-day routine. What is a chargeback, and why do they get issued and how to avoid them? In 1968, the US government implemented an act to protect consumers from fraudulent activity. Out of that came the idea of a chargeback. In essence, a chargeback ensures consumers could regain their funds in case of potential fraud committed by a merchant or scam artist. A chargeback voids the transaction and implements a chargeback fee on the merchant. This is done to protect the consumer and make sure they are able to fight for their rights. However, to best avoid a situation such as this, a merchant should be willing to provide world-class service. This includes a fair return policy to make sure customers are not left in the dark with no other option. This is the best way to avoid chargebacks. What is a chargeback, (or payment dispute) and why do they get issued? A chargeback is used as a way to keep customers safe as long as they are using a credit card. It is a way to make a quality dispute and have a way to stay safe. When there is a clear-cut reason for a dispute, this is when a chargeback is processed. These are issued for a number of reasons but the underlying premise is to keep the consumer’s funds safe. As soon as it is processed, they get the refund. What is the general chargeback or payment dispute process? A chargeback is a claim made against a potential charge. This is a charge that’s disputed by the customer for a variety of reasons. If the customer doesn’t feel the transaction is a fair one, he/she will make this chargeback request. 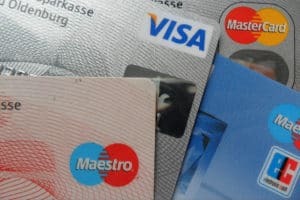 Credit card chargebacks can happen, but the payment dispute process goes through the issuing bank. The bank will seek information on the transaction and may ignore the chargeback based on the information that is presented. This is often up to the merchant. How long can the chargeback process take? A chargeback process is going to vary in terms of how long it can take. Some can be processed within a day while others take a little bit longer depending on the issuing bank. In most cases, it is going to be done within the first 48 hours. However, there are certain cases where there are complexities involved in the chargeback process. As a result, the issuing bank does take its time and follows through with its established protocol. These are the most common reasons a person may have when it comes to their credit card chargeback. It is important for merchants to be aware of what they are selling so these issues are minimized as much as possible. If multiple chargebacks are processed, this can be a sign of trouble and is not good for business. Merchants need to be on top of things as soon as they start selling and accepting credit cards. The issuing bank will side with the customer if proof isn’t presented by the merchant. Do card-not-present transactions have a higher rate of chargeback? Yes, card-not-present transactions will often have a higher rate of chargebacks because of the additional steps that are involved. For example, this transaction will include an entirely separate shipping process where a new layer is attached to the buying process. This means if an item is being shipped across the city or state, it is going to be under duress if not taken care of. This can easily lead to issues where the product isn’t in good shape or isn’t as it was described to be. This is a hurdle many merchants have to deal with, especially when it comes to fragile items. What is typical chargeback ratio? If your business is accepting chargebacks then it is going to deal with a few here and there. This is normal and is a part of running a business, especially when it is done online. However, what is a good ratio to aim for before getting concerned? In general, a chargeback ratio over 1% is a problem. This is a sign of something going wrong in how the business handles its products or services. For every 100 products being sold only one chargeback is acceptable. Otherwise, issues with fraud are going to pop up. A bank chargeback refers to a retrieval request that is put in by the issuing bank on behalf of the consumer. They will put in all of the details and go through the information to determine what is right. It is important to keep an eye on these chargebacks as they can start to pile up when things aren’t done as they are supposed to. In fact, many merchants fall apart because of these chargebacks and aren’t able to manage them properly, which leads to trouble. 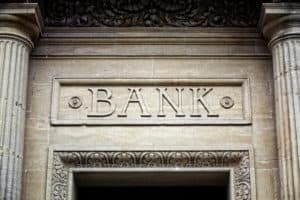 Why would a bank or financial institution initiate a chargeback? In general, a bank is going to be responsible to its client and that is going to be the customer. They will want to make sure fraud isn’t being committed with its credit cards. As a result, they want to make sure the funds are being used appropriately. if not, they are going to cut down the process and make sure you pay the fee as a merchant. Remember, you are paying for the service that is offered and that is going to be a price that has to be paid. This is why a bank will initiate this chargeback request. Why do these chargebacks occur? Chargebacks are going to occur for a number of reasons as mentioned before. However, the most common reason isn’t always cynical. In fact, it can be something as simple as the product not being shipped in good shape due to the shipping process. This is why businesses have to be on top of their shipping processes and who is responsible for them. Bringing in a good shipping company is the way to do this. It can make sure loyal customers are treated with respect and get the product they have ordered. Of course, there are other reasons but this is the one that stands out in most cases. How can I avoid and prevent potential chargebacks? Chargebacks can be avoided in a number of ways but the best place to begin would be with your foundation. This means you want to sell a good product/service that people want to pay for. if you are missing out on a good product, they are not going to be happy forking over hard-earned money. This is when those requests are made and the business has to start paying fees. If you are on top of things and run a tight-knit ship, you will be able to keep the ratio under 1%. A retrieval request refers to the card issuer asking for proof. This can be something as simple as the invoice for a transaction. If there is no proof, it means the business completed a transaction without the consent of a customer. This is a major no-no and can lead to an immediate chargeback. Of course, it can also lead to legal trouble based on what is going on behind the scenes. Businesses need to run things properly and it is always important to keep this information in store to avoid making mistakes that lead to major fees. How can I dispute or respond to a chargeback? A chargeback is going to come with the issuing bank’s correspondence. They are going to process the request based on the information that is put in front of them. The business will be able to respond with the necessary documents to make sure everything is fair. However, the bank is going to be responsible for looking at the details and coming up with a fair response. In some cases, the issuing bank is not going to go in favor of the merchant and will process the refund immediately. This is something you have to be aware of as soon as you start accepting credit cards. Are there merchant penalties or merchant recourse for having chargebacks? Yes, there are merchant penalties in the form of fees attached to a chargeback. The processor is going to charge a fee based on the agreement that has been signed. They do this to pay for the service that is required to complete the investigation and eventual refund. The fees are going to vary depending on the processor. The recourse you are going to have as a merchant is the initial request. This is the best and most effective way of winning your case. With a rise in chip cards, there has been an EMV liability shift. In essence, this means if a fraudulent chip card is used on your premises and you process the transaction, it is going to be under your name. As a result, the merchant can be in legal trouble based on this transaction. This has been done due to more and more fraudulent transactions being approved when they shouldn’t be. The chargeback process is going to vary from person to person. Each customer is going to have his/her own reasons as to why they are moving forward with the chargeback. However, as long as a good reason is offered, it can be an easy way to complete the chargeback and move forward. This is why merchants have to understand how chargebacks work and make sure they are in tune with how things run under their payment processor. If these details are not kept in mind, it can become the quickest way to lose money and end up with numerous chargeback requests in a matter of weeks. Visa and Mastercard come with their own set of reason codes. It is important to be aware of them before moving forward with a transaction as it can keep the business in good standing. Here are some of the reason codes that can pop up when a dispute is processed. These are just some of the examples a merchant might notice through their payment processing gateway. As long as the business is alert and willing to make adjustments, these chargebacks are not going to get in the way of progress. A lot of merchants worry about these fees and they only become a problem when there are more issues then solutions. Keep this in mind while looking at the various reason codes and make sure you are aware of them from day one. This is the best way to maximize the use of credit cards and how these transactions are processed on a daily basis. This is especially important for those running operations online with additional shipping requirements for their products. For more information on the right payment processing gateway, please take the time to learn more about Fee Fighters. This is a wonderful way to get on top of chargeback fees and push forward with a fair deal as a merchant.